The Cisco SG300-28PP is a 26 Port Gigabit fixed configuration Managed Switch + 2 Combo mini-GBIC Ports and 24 ports of PoE+. Unlike other small business switching solutions that provide managed network capabilities only in the costliest models, the Cisco SG300-28PP Switch supports the advanced security management capabilities and network features you need to support business-class data, voice, security, and wireless technologies. At the same time, these switches are simple to deploy and configure, allowing you to take advantage of the managed network services your business needs. Cisco® 300 Series Switches offer the perfect combination of affordable and advanced networking features for small and medium-sized enterprises. These user-friendly, fully managed Layer 3 switches are a solid foundation for any business network. Advanced management options: with Web-based and command-line interfaces. Performance: through VLAN scalability and a non-blocking switch fabric. Intelligence: with security and quality of service. Secure desktop connectivity: Cisco 300 Series Switches can simply and securely connect employees working in small offices with each other and with all of the servers, printers, and other devices they use. High performance and reliable connectivity helps speed file transfers and data processing, improves network uptime, and keeps your employees connected and productive. Secure Wireless connectivity: With its advanced Security features, Power over Ethernet, Auto Smartports, QoS, VLAN and Access Control features, the Cisco 300 Series Switches are the perfect foundation to add Business Grade wireless to an SMB network. Unified communications: As a managed network solution, the Cisco 300 Series provides the performance and advanced traffic-handling intelligence you need to deliver all communications and data over a single network. Cisco offers a complete portfolio of IP telephony and other unified communications products designed for small businesses. Cisco 300 Series Switches have been rigorously tested to help ensure easy integration and full compatibility with these and other products, providing a complete small business solution. Highly secure guest connectivity. 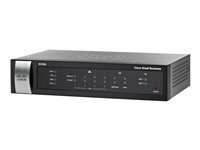 Cisco 300 Series Switches let you extend highly secure network connectivity to guests in a variety of settings, such as a hotel, an office waiting room, or any other area open to nonemployee users. Using powerful but easy-to-configure security and traffic segmentation capabilities, you can isolate your vital business traffic from guest services and keep guests’ network sessions private from each other.